Our Superberries Aroniaberry Products are often recommended to our customers by their physicians or friends because they support eye, joint and cardiovascular health. They also have other health benefits. A serving size of our Organic Frozen Aroniaberries is 1 oz. or about 30 berries per day. A great way to add aroniaberries to your day is put 15 to 20 berries in your oatmeal in the morning and stir another 10 berries in your yogurt in the afternoon. Or, add them to a salad. Another way to use our frozen berries is in smoothies. Combine 30 frozen aroniaberries with other frozen berries for a powerful antioxidant drink. Use frozen berries so you don’t water down your smoothies with ice. Get Aroniaberry smoothie recipe ideas on Superberries.com or buy our Smoothie E-Book. 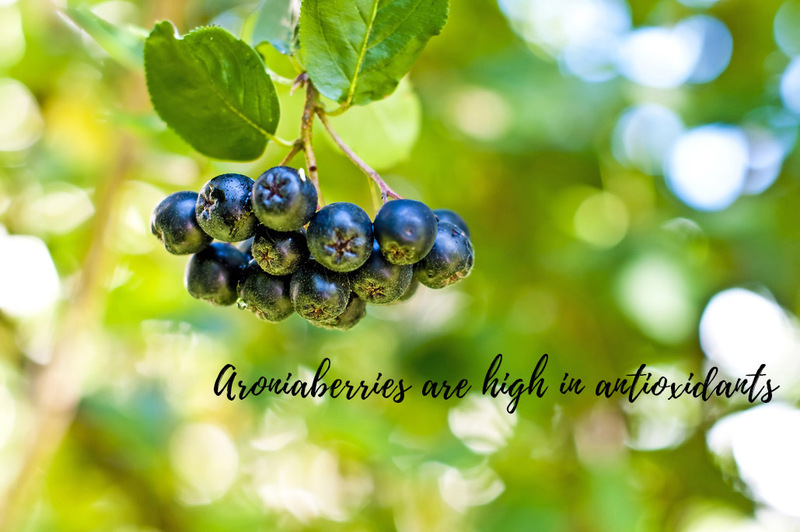 According to Michael Greger, M.D., “We need to get a daily minimum of 11,000 antioxidant units a day in our food to stay out of oxidative debt.” One hundred grams of aronia berries delivers over 16,000 antioxidant units. Also consider baking with aroniaberries or using them in salads. Although a bit tart, our berries are delicious in muffins, pancakes, breads, or even in chili. Check out our recipes in our blog or on our recipe page. Superberries Aroniaberry Concentrate delivers even more antioxidants than our frozen berries. Over 7 lbs. of berries are pressed to make our concentrate. We recommend 1 ½ teaspoons mixed in water, juice, smoothies or yogurt twice a day.